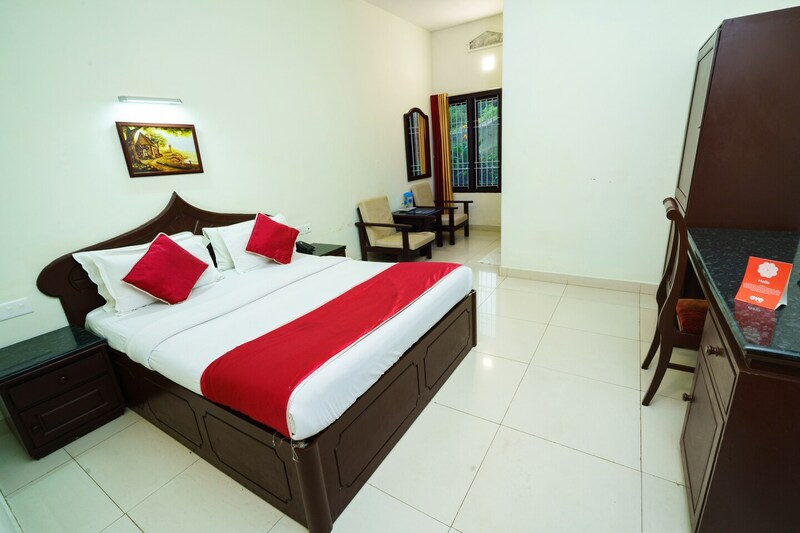 Inside the simple exteriors of Hotel Highrange Inn are rooms that are spacious and stylish, with classic decor, providing guests with a relaxing and refreshing stay. The rooms have plenty of open space and are well-lit, with light-toned walls, dark furnishings and small pieces of artwork. Long flowing curtains complete the look, and sufficient seating area is provided for convenience. The large windows allow in natural light and provide guests with views of the beautiful landscape and hills nearby. The property offers free WiFi service, elevators, and options for card payment. A common seating area and dining area are also available, where guests can spend time and mingle and a CCTV camera setup is in place for extra security.